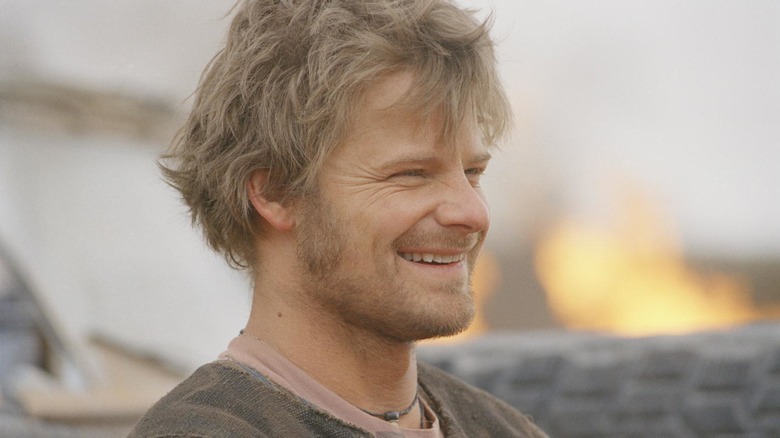 Whatever happened to Steve Zahn? When thinking of actors who came of age in the 1990s, Steve Zahn's name isn't one that tends to jump to the forefront of people's minds. Still, few actors from that era were quite as prolific — or as consistently entertaining — as this brashly energetic performer. Even fewer have managed to continue delivering high-quality work in the decades that followed. But just as Zahn seemed destined to turn his full-blown slacker icon status into outright movie stardom with a string of blockbuster and indie hits throughout the early 2000s, his career momentum surprisingly slowed — so much that it feels like he's all but disappeared from Hollywood in recent years. Of course, appearances are often deceiving, especially in the context of the entertainment business. And while Zahn has certainly kept a low profile of late, he hasn't been quite as invisible as you might think. Wondering whatever happened to Steve Zahn? Don't worry, we've got you — and his recent activities — covered. Steve Zahn's rise to prominence in the early '90s was as impressive as any of his contemporaries. While it started with a 1990 appearance on ABC's long-running daytime drama All My Children, Zahn got his first real break four years later, when actor/director Ben Stiller saw him in a theatrical rendition of the play Sophistry. Stiller was on hand to scout Zahn's castmate Ethan Hawke for a role in his directorial debut Reality Bites, but he enjoyed his work enough to offer the young actor a supporting role. Zahn made the most of the moment, managing to stand out in a film that also featured Hawke, Winona Ryder, Janeane Garofalo, and Renée Zellweger. He went on to deliver equally memorable supporting turns in '90s staples like Crimson Tide, That Thing You Do!, Suburbia, Out of Sight, Safe Men, Stuart Little, and You've Got Mail, not to mention a scene-stealing turn on Friends as Phoebe's ice dancing "husband of convenience" Duncan. The rest, as they say, is history. 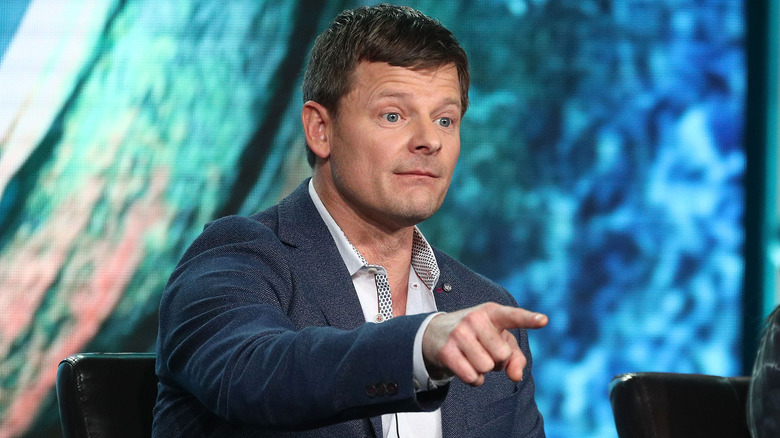 If you've been tracking Steve Zahn's career, you probably noticed that many of his more famous roles were of a supporting nature. He's always seemed to have untapped leading man charisma just under the surface, but he's landed one supporting role after another, usually playing the quirky pal to more straight-laced movie stars. Still, it wasn't until the early 2000s that Zahn went full sidekick, and it's a role he played to near perfection opposite the likes of Martin Lawrence in National Security, Eddie Murphy in Daddy Day Care, Penélope Cruz and Salma Hayek in Bandidas, and Matthew McConaughey in Sahara. In several cases, Zahn's work stands firmly as the most memorable aspect of otherwise underwhelming projects. Additionally, he's played romantic sidekick to the likes of Drew Barrymore in Riding In Cars With Boys and to Jennifer Aniston in the underrated rom-com-drama Management. 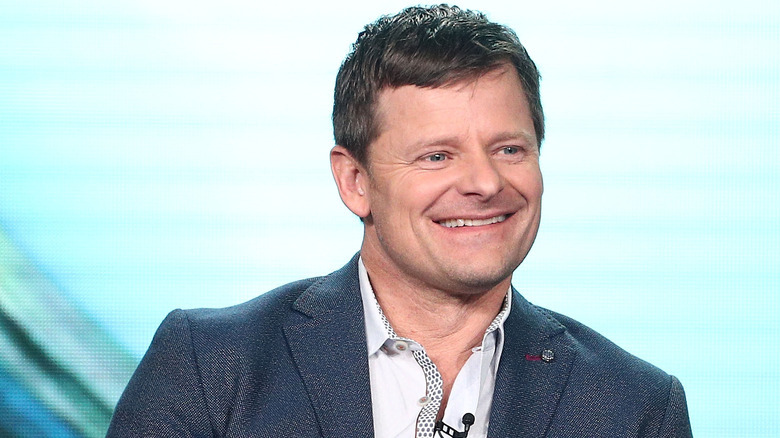 If you're wondering why Steve Zahn hasn't been appearing in many Hollywood projects of late, it's likely due to the fact that he lives about as far away from the Hollywood scene as you can get. Where's he hanging his hat these days, you ask? For the past 15 years or so, Zahn has been living the working man's life with his family in rural Kentucky. Seriously — Zahn and his crew actually own and operate a quiet little farm in a quiet little town just outside Lexington, Kentucky. There, they raise horses and goats and all manner of produce. Meanwhile Zahn — who says he has developed quite the green thumb over the years — spends his free time hunting, fishing, and working in his beloved flower beds. All that, and he still has time to hang out with his old That Thing You Do! pal Liv Tyler. When Steve Zahn isn't tending to the farm or turning up on the big screen, it's a safe bet you'll find him on the stage in one playhouse or another. Like most actors, Zahn got his start in theater by performing in high school productions. He made his professional debut in a 1987 production of Neil Simon's Biloxi Blues, eventually working his way into the esteemed American Repertory Theater. While trying to carve out a career in the New York theater scene, Zahn met lifelong pals Ethan Hawke and Robert Sean Leonard. With fellow thespians Josh Hamilton and Frank Whaley in tow, the group would go on to form the Malaparte Theater Company and spend the next few years making names for themselves in off-Broadway productions. The company is now defunct, but the founding members have remained close over the years. Zahn has also kept one foot firmly on the stage throughout his professional life, honing his skills in productions big and small, including the occasional appearance in plays produced by the community theater group he operates with his wife in Kentucky. Over his now decades-long career, Zahn has proven one of the more versatile actors around, doling out laughs and tears in equal measure (and with equal grace). In that time, he's also proven himself one of the more loyal actors around, reuniting with friends and collaborators on several projects. That list includes films opposite his That Thing You Do! director Tom Hanks (who he worked with on You've Got Mail, From the Earth to the Moon, and The Great Buck Howard), and his Sahara co-star Matthew McConaughey, who reunited with him in Dallas Buyers Club. Zahn also appeared with his Friends screen partner Jennifer Aniston in the indie dramedies The Object of My Affection and Management. 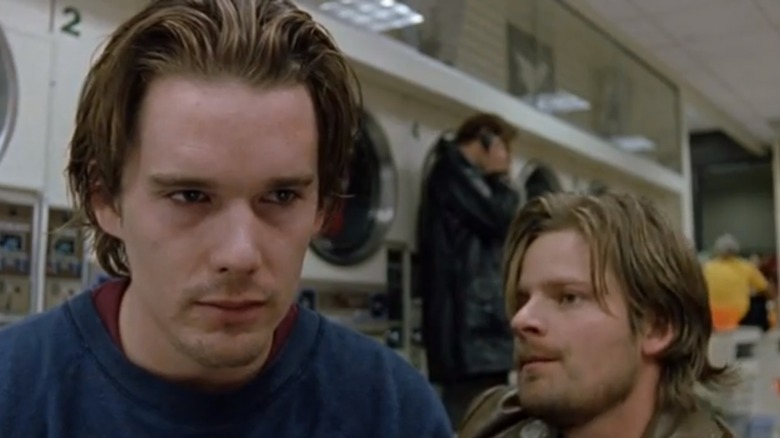 Of course, one of his most frequent collaborators is his old Reality Bites pal Ethan Hawke, who appeared in the title role opposite Zahn's Rosencrantz in the marvelous 2000 version of Hamlet before directing Zahn in Chelsea Walls and his 2018 indie hit Blaze. 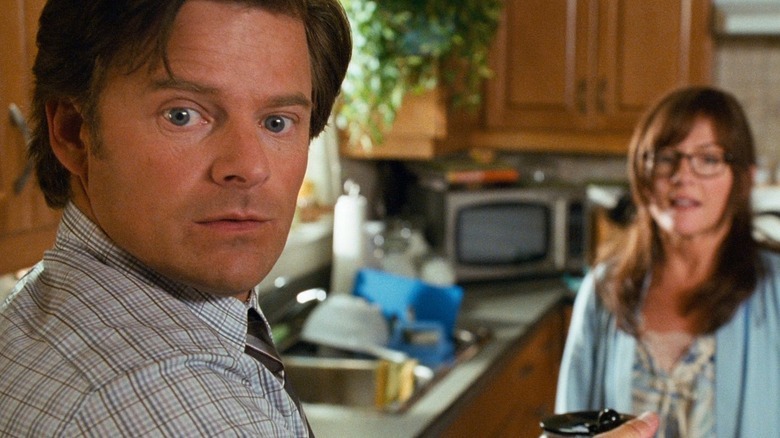 Steve Zahn is widely known for appearing in more adult fare and the occasional dalliance in absurdist comedy (see Saving Silverman, Knights of Badassdom, and The Ridiculous 6), but he jumped into the realm of "family film" in 2010 when he took the role of Frank Heffley in Diary of a Wimpy Kid. For those unfamiliar with the movie, it's based on a popular series of young adult novels, and follows the travails of a whip-smart 12-year-old attempting to make the complicated transition from elementary school into middle school. Zahn plays the young man's lovably affable father, bringing a welcome sincerity and quick wit to the to the kid-friendly films. While Diary of a Wimpy Kid didn't quite land with critics upon release, it more than held its own at the box office, pulling in a whopping $75 million worldwide. That was enough for the folks at 20th Century Fox to greenlight not one but two equally lucrative sequels, making the Wimpy Kid series Zahn's first official franchise — though that franchise appeal wasn't enough to get Zahn back in dad mode for the much-maligned fourth film in the Wimpy Kid series. As it happens, his old That Thing You Do! co-star Tom Everett Scott landed the role instead… just in case you were wondering whatever happened to Tom Everett Scott. The Diary of a Wimpy Kid series was far from Zahn's first foray into family-friendly fare. In truth, the series was merely the first time he showed his face in a full-fledged family film. Whether it registered or not, you've actually heard his voice in handful of popular animated releases over the years. Zahn made his first voice appearance opposite Michael J. Fox and Nathan Lane in 1999's M. Night Shyamalan-scripted animated/live-action confection Stuart Little. A few years later, Zahn's voice turned up amongst an all-star cast of actors and funny people as Runt of the Litter in the animated blockbuster Chicken Little. If those two appearances weren't impressive enough, Zahn also contributed voices to the beloved Disney Channel series Phineas and Ferb before joining the illustrious list of Pixar voice performers as a member of the cast for the animation giant's 2015 film The Good Dinosaur. The Diary of a Wimpy Kid series wasn't Zahn's last franchise, either. Savvy viewers likely noticed the actor's voice and mannerisms on a much bigger scale when he donned a motion capture suit to portray Bad Ape in 2017's smash hit War for the Planet of the Apes. 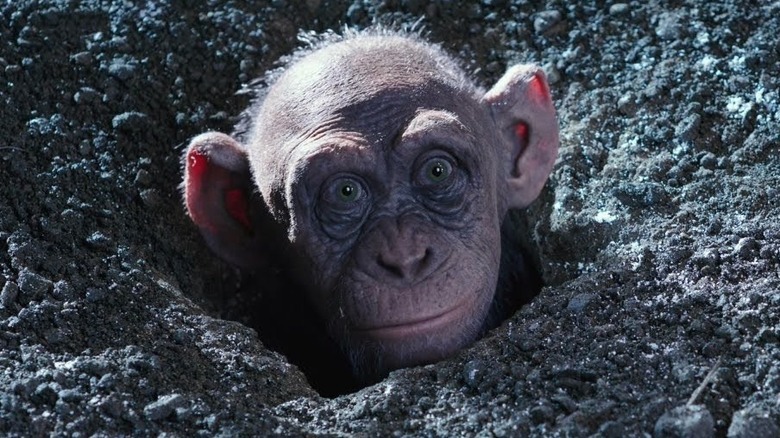 Though Zahn clearly enjoyed working on the movie, he's referred to the film's six-month shoot as "the most painful of my life" — mostly because he spent much of it hunched over pretending to be an ape. Luckily, he also spent that time opposite cinema's greatest motion capture performer in the great Andy Serkis, who Zahn praised as "one of the greatest actors" he's ever worked with. For those of us who've been on Team Serkis since his astonishing work as Gollum in the Lord of the Rings trilogy, we couldn't agree more. And if you don't know who Serkis is, well, check out his IMDb page, 'cause you probably just haven't been paying close enough attention. While Steve Zahn has managed to keep one foot in the Hollywood blockbuster door over the years, he's always kept his other firmly in the indie films that gave him his first taste of stardom. 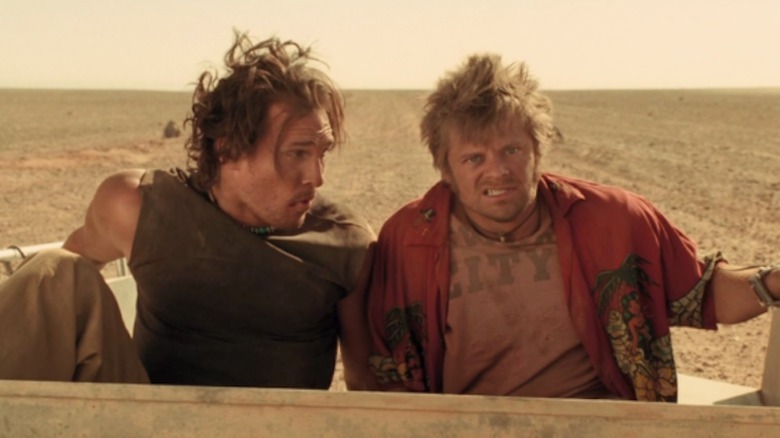 That includes working with directors like Richard Linklater (Suburbia), Steven Soderbergh (Out of Sight), John Dahl (the wildly underrated Joy Ride), Billy Ray (Shattered Glass), and Werner Herzog (Rescue Dawn). More recently, Zahn turned up as a wayward soul in Andrew Haigh's beautifully meandering racehorse drama Lean on Pete, but if you really want to see Zahn at his indie best, you'll want to check out his hilariously unhinged, Independent Spirit and Sundance award winning turn as an escaped convict hiding out as a beauty pageant director in the 2000 comedy Happy, Texas. You can thank us for that recommendation later. You've probably noticed that even after appearing in a couple of legit blockbusters and an scoring an endless stream of indie hits, Zahn hasn't really been appearing on the big screen much in the past few years. That has a lot to do with his growing workload on television, including an often scene-stealing role on HBO's grossly underrated drama Treme and an equally impressive performance in Amazon Studios' limited series adaptation of the UK hit Mad Dogs. 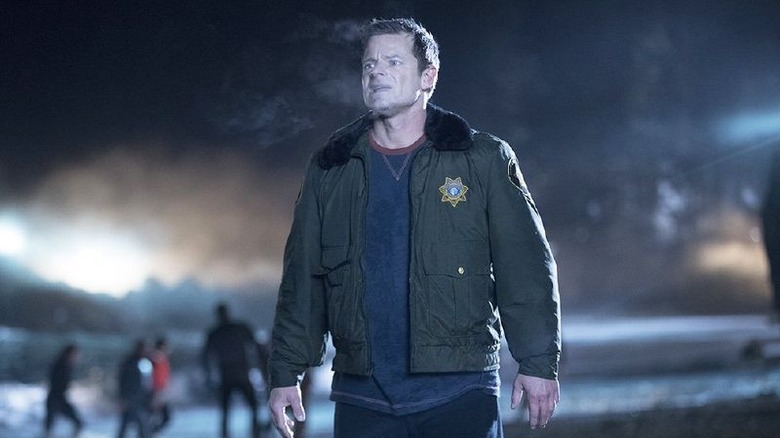 More recently, Zahn appeared as a small-town sheriff in way over his head on ABC's mind-bending sci-fi drama The Crossing. While The Crossing received generally favorable reviews, its mix of heady plot lines and somber tone never quite connected with audiences, and was canceled after just 11 episodes. Still, it seems just a matter of time until Zahn finds the right fit for small screen success. 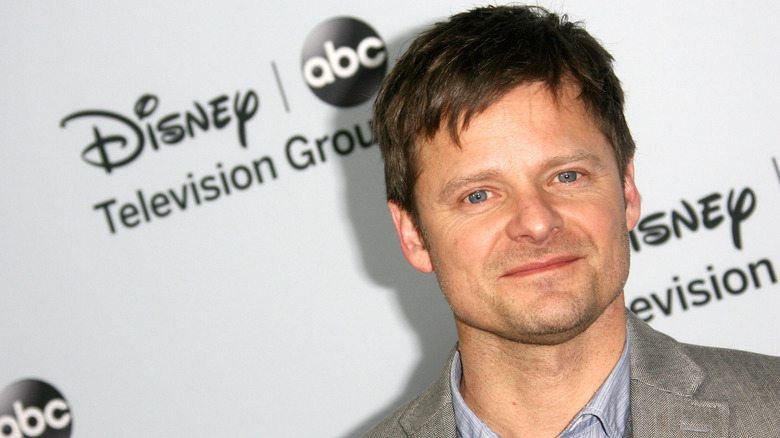 With The Crossing officially in his past, Steve Zahn looks to have more free time on his hands. He's got some voice work lined up (opposite Rainn Wilson, Ellen Page, and Ron Perlman) in the animated flick Robodog, and an appearance in the Silicon Valley drama Valley of the Boom (from House of Lies creator Matthew Carnahan) on the books, but other than that, the future appears to be all but unwritten for Zahn. While a little downtime back on the farm is certain to occupy some of that future — with a possible return to the community theater stage as well — we can't help but hope that the obscenely gifted actor finds his way back in front of the cameras as soon as possible. 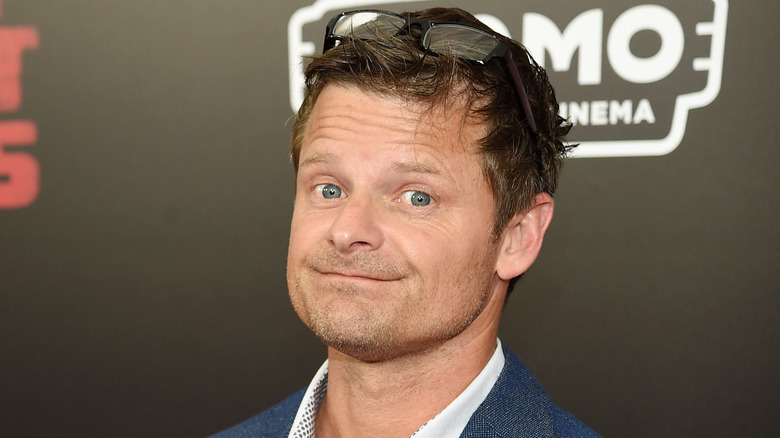 The one thing we're certain of is that there's literally nothing Steve Zahn can't do as a performer, and we can't wait to see where his career goes from here.